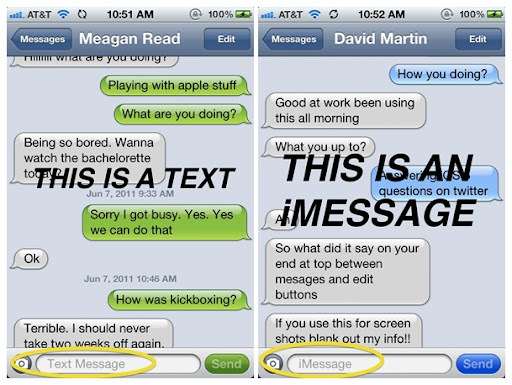 So how would you know whether you are sending an iMessage or a simple text message via SMS. Apple made it really easy to differentiate between the messaging system. You can see the screenshots of both the messaging system bellow. Notice that the “Send” button on the SMS and the iMessage are different colors, as well as the outgoing chat bubble.